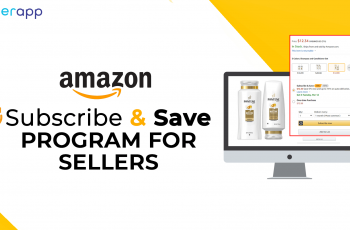 How To Write Amazon Bullet Points In A Way That It Sells? 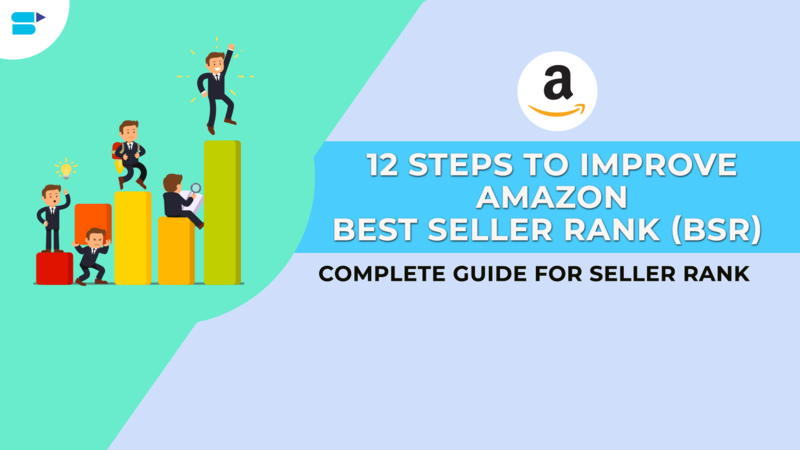 If you are a seller, then you would certainly want to know how to write Amazon bullet points in a way that the product generates better sales and ranks higher at the same time. To be honest with you that’s indeed an art, and only a person knows in and out of this, will be able to tell you. 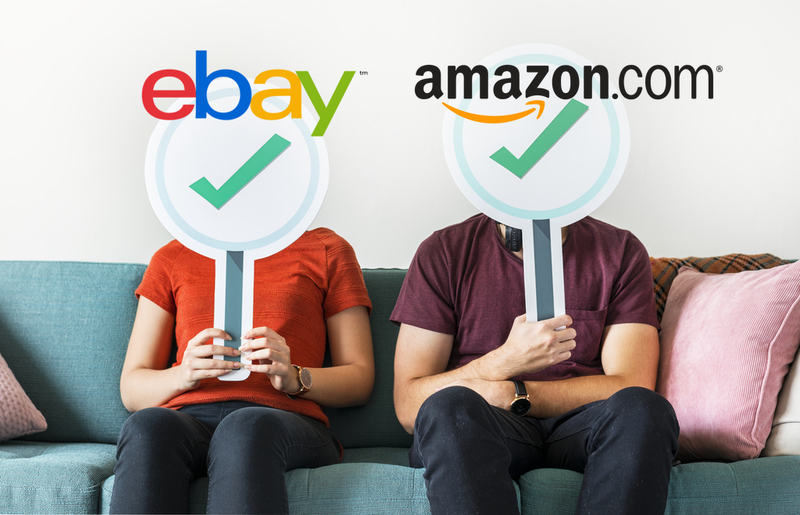 We understand what Amazon considers the best, and would bring you the benefits as a seller. We will thoroughly explore the best practice methodologies of writing bullet points in this article. But first, here’s a quick introduction. By definition, a bullet point (•) is a simple, typographical glyph or symbol used to present items in a list. Typically, bullet points are used to list different things. While this bullet symbol (•) is generally used, it can take any shape like square, arrow, diamond, or circular. A text that is separated by a “symbol or point” to make the reading easy, understandable, and quick. Help a reader to skim the content rather than having it to read entirely. Facilitate more sales and higher organic rankings. 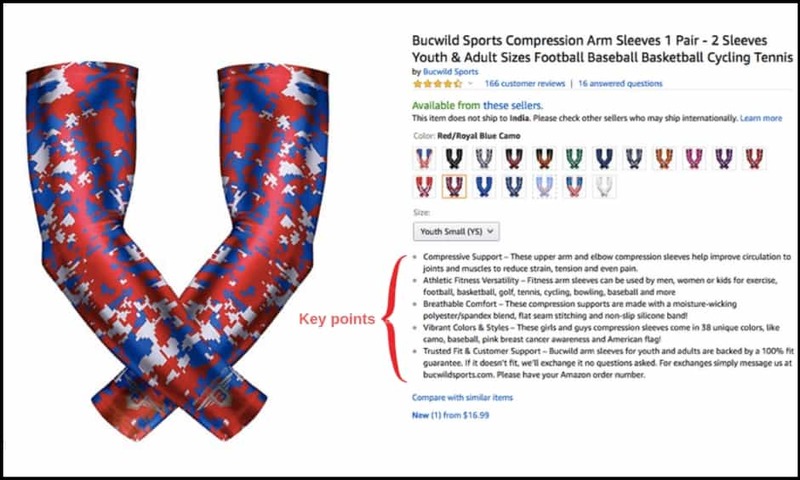 Why Are Bullet Points Used In Amazon Product Listings? According to reports, 55% of the readers spend only 15 seconds or even less (active) on a webpage – be it reading information about a product or gathering knowledge about a specific topic. No matter how much effort you take to carefully write or proofread your product listing copies, a reader would only spend about 15 seconds to run through it. Like it or not, internet blasts with 24/7 content, making us skimmers than detailed or deep readers. Any writer who has spent his/her time in publishing articles online exactly knows how hard it is to keep a reader engrossed. The key to come up with articles that not only have an impact on the reader but also holds his or her attention tends to be a big deal in the online world. So, it is more important to keep your content more readable and informative. This is exactly the reason writers tend to put the important content or key terms in “bullet points.” This also applies for any Amazon product listing as well. 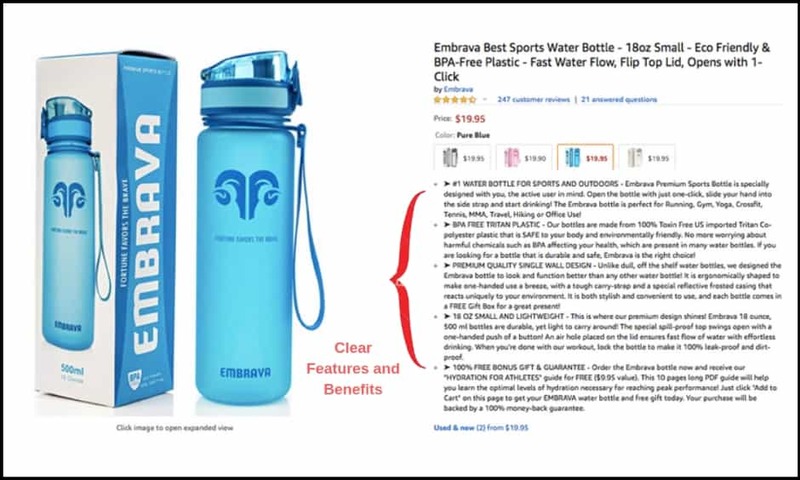 If you have ever shopped on Amazon, you certainly must have noticed the product’s features being listed in neat bullets. Ever wondered why? Well, a potential shopper only takes 15-30 seconds to make a buying decision. Within this timeframe, he/she sees all – product image, title, features, description, brand, and video (if you have included). Now, imagine if you have mentioned the key features of your product in long, boring paragraphs rather than bulleted lists. What happens? The buyer will close it and move on to the next listing, making you lose out on a plenty of sales. 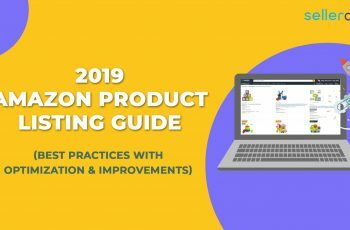 Those bullet points for a product are one of the “selling points” for your product and helps make a buyer to make a “decision.” Unless it is convincing enough for a shopper, you are not going to get as many conversions as you expected. How Are Bullet Points a Vital factor When Selling Online? Amazon has a lot of constraints in text limits when it comes to the product listing. Therefore, the words should be concise and picked carefully. Amazon permits using 5 bullets for a product listing. So, it is important to use them correctly. Intended to enlist the features, bullet points have the potential to deliver more than what you anticipate. 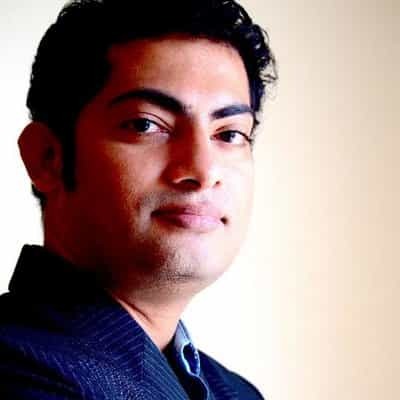 With the help of bullets, you can mention about your product precisely and shortly, something what a customer looks for. Remember that, only the key features that can set your product unique from the rest should be in bullet points. The gradation of your product’s features should be listed from the most imperative or most desirable factor on the top followed by the less important ones. At times, there are not many things that can be thought of putting in the bulleted points, it’s better to have some specifications enlisted to make the product listing look more complete. You can only have 5 bullet points for your product. So, make sure that these 5 attributes are enticing and convincing enough for a buyer to purchase your product. Your product’s topmost feature goes first followed by the less important ones. Since you are impressing your customers with every bullet point, ensure that best ones get to the top. Every bullet point can only be of 500 characters and not more. But this is enough to include your keywords naturally. Make sure that every bullet point begins with a capital letter. Avoid using too many punctuations. Write every sentence clearly and without any mistakes. Include all the details of your product – the size, shape, color, dimension, etc. Mention the advantages of using your product or how it can help them in their daily lives. Never include promotions or pricing details in your bulleted list. 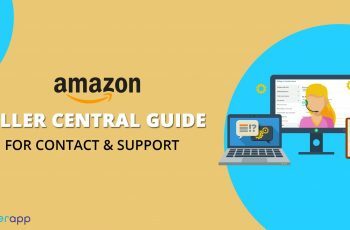 How To Write Amazon Bullet Points? Every product listing is a seller’s virtual shop, where everything is bowled into one. Now, every potential buyer who “steps into” a listing usually gets delighted with a creative sales copy and a perfect HD image. In simple words, they should know what exactly you are selling and how can your product help them in their day-to-day lives. It will either be inserting keywords or optimization. That’s something what other sellers also do. 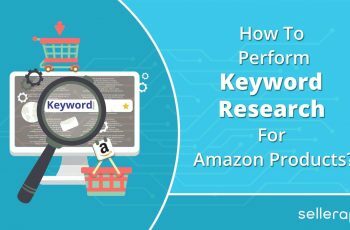 Perform a deep keyword research, hit the maximum character limit for titles, and add them to the titles and description to outrank the competition. Yes, of course, they are vital to boost your product rankings and we shall never overlook the importance of keywords in Amazon listings. Similarly, don’t downplay the importance of your Amazon title. 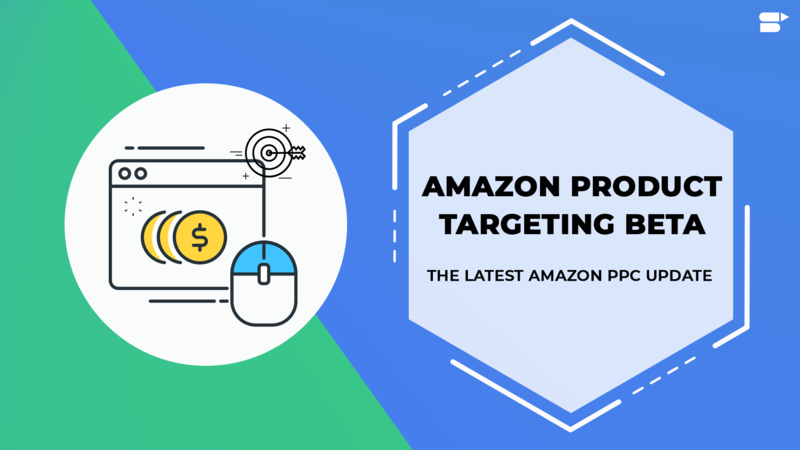 We all know that it is one of the most important factors affecting your Amazon sales and search results. But often, the significance of product title overshadows the requirement for optimized bulleted lists under the product title. These bullet points are also called Key Product Features in the Amazon Seller Central listing. Although not regarded as vital as your product title, bullet points should be still considered as one of the key elements of your listing. You will be fascinated to know the fact that bullet points section is something that a potential buyer sees second or third after the title and image. More interestingly, they are frequently the foremost place where you can present the actual sales copy. Hence, it is crucial to evaluate your bullet points to make sure that they are up to the mark before presenting or going live with the listing. Believe it or not, this section can fetch you good conversions. A primary keyword can only be one – the one that you are going to target your product for whereas LSI or secondary keywords can be multiple. Now, you cannot target all these keywords in the title. They cannot fit in. 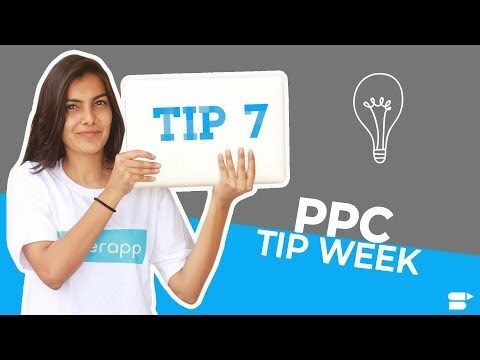 So, after you optimize your title with the primary keyword, the secondary or related keywords must be included in your bullet points. In fact, they have documented their listings ranking from page 4 to page 1. So, it doesn’t do any harm in inserting a few other keywords in the list because they do work. Keep in mind, Amazon allows only 500 characters (maximum) for a line. Therefore, think strategically to include those keywords. Don’t simply scatter them around without making correct statements. As said earlier, shoppers spend a maximum of 15-30 seconds on average to decide if you want to buy a product or not. They definitely don’t have hours to read through huge chunks of cullet points either. Hence, it is important to keep the bullet points precise, short, optimized, and creative at the same time. Most buyers will only want to see those key highlights. So, put it in a way that they can just skim it. What Else Should You Focus On? Now that you have an idea on how to create a good bulleted list for your product, there are few more things to know about. As said, the bullet points should comprise of potential keywords that highlight the best features of your product. Besides this, it should also have quality content. So, make sure that there are no grammatical errors. Let someone else proofread it before publishing it in the Amazon marketplace. Never mislead your customers with your product. Be true to what your product does. Keep the information correct. Do not make any false claims or write something that your product doesn’t have. Even if you trick the buyers for a while, remember that there is the “comments section or reviews section” and customers can post whatever they need on the product page. You do not have any control over it. If you make any changes to your product or there is an update, make sure to bring that to notice to your customers by mentioning it in your bulleted list. Also, keep the points simple and understandable. Do not use jargons, complicated words or ambiguous terms unless you are targeting your product only to certain customers. Including a unique point about your product can steal the deal, as this can be a way to stand out from the competition. However, keep it creative and original. If you write your product listing, focus on the ideal buyer. 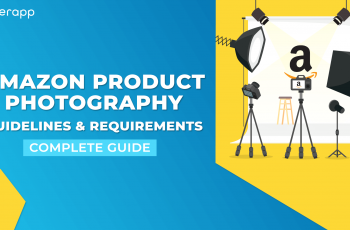 The mistake that the product descriptions are mostly formulated on a whole range of customer groups is done quickly. It is difficult for each group to formulate a pleasing text – so the text is kept very rough. However, this is not useful. The actual and ideal buyer group is not addressed, which is then reflected in a poor conversion rate. The best bullet points are those that address your target group directly and personally. You can answer questions that the future buyer will probably ask. Make a conversation out of it. Use the words that your target group also uses and speak to your buyers directly (you). Imagine your ideal buyer group: What is your sense of humor? What would the audience prefer? What would they not like? What similarities can you build up? Can you use special words like YOLO or Swag? It is very helpful when you imagine how you would sell the product live in the stores. Try to put the entertainment that you would have in the store into the product text. Be quietly critical when it comes to questions. The “perfect” product usually does not exist. It’s just in the way you present it. If you sell your own products, then you will throw yourself in front of joy and knowledge – you stand behind the product and know every detail. Usually, this is also packed into product descriptions – up to the last detail is explained from what great materials or technical finesse the product was manufactured. But your potential buyer is not interested. He just wants to know if it helps him with his problem or why it is better than the others. Often only a banal sentence is written around the “outstanding product quality”. This is, often, confusing when compared to the other products of the same kind and does not generate any surplus value for the reader. The shopper skims through it quickly and remains a ; just’ a reader. He will not convert to become the buyer. Not many read how great the shoe is, but are more likely to purchase shoes your colleague has worn so casually in the office. Try your best to bring out the feel of using the product, especially in categories where the usage of the product could be best elaborated upon. The imagination, how might it look or to what things in the closet it fits the best. Let the imagination play crazy. And that makes a shopper want to buy your shoes. This could be your unique selling point. Why does the sale in the store work so well (good is, of course, relative)? Because people can touch the products there. You can play with it and try the product. There is even a study (here in English ), which scientifically proves. On the Internet, however, nobody can touch it. Although Good product images help make even better product videos (of which there are many on YouTube), but not touching it halt. So you have to increase the desire in the reader’s mind. A perfect product does not exist. But what if it’s really perfect. Unsurpassed? Then you must be able to justify it properly. In principle, I advise against literally writing ‘the perfect product’, but proofs help. 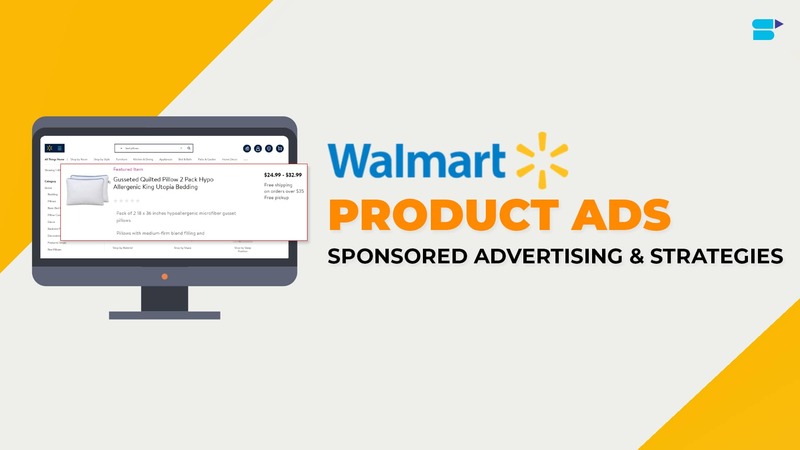 There are numerous studies on the topic of “recommendations and buying behavior.” A recommendation has a much stronger effect on the purchase decision than classic advertising. If your visitors are not sure which product to buy, then look for recommendations. The product, which has the most positive ratings, always win (mostly). A lot of sellers tend to buy reviews for their listing but that’s something you should never do. They have to be organic from genuine customers. Popular products are loved buying. This way, you can take away the customer’s thoughts and remove any doubts. Believe it or not, small stories get sold. When one starts writing smaller stories in their product texts, one can break such rational barriers. 1. Who made the product? 2. What was the inspiration for the product? 3. What were the obstacles during the manufacturing process? 4. How was the quality of the product ensured? Those who eat more often in restaurants (or article descriptions of wines) are already aware of this: the emotional choice of words increases desire. In doing so, the brain is much more strongly addressed and stimulated. Adjectives are particularly interesting. Often one can also form good and meaningful sentences without adjectives. But when it comes to the emotional approach, a clever adjectival of the entire description first gives the emotional and tactile touch. Not everyone wants to read a lot and only fly the text. If you make your texts easy to read – clearly structured, then you help the reader. Relaxed, they can process the information much better. Just lead them from point to point. What questions could the interested party ask themselves? In which order do you answer the questions and how? Share your knowledge about your product. Try to tell stories and explain even the smallest details. Do not give trouble to boring – try to stimulate the imagination of your customers. But never forget: the dedication to the products and the love for the shop should give you strength sometimes to make interesting texts from banal things. Of course, there are also other descriptions. In order to write a good product description, one must first gather the right information. It is by no means that they are considered important as traders. Nor do they have to cover the manufacturer’s information. Who counts is solely the customer. It is necessary, therefore, to translate into the customer’s position and to consider what questions might arise before or during the use of the product. For example: Is the product compatible with my other devices? How easy can I use it? What material is it from? What about security? This role-playing game also requires no expert knowledge at the customer’s premises. Technical terms, which seem to be completely understandable to a dealer, can be Bohemian villages for the customer. Questions and comments, which come through the own contact form, the customer service etc. This should help to ventilate the blinkers, which one as an expert for its product has now. After you have put everything together, you are probably confronted with a hint of information. It is now up to the customer to dissolve this madness. The biggest challenge: to supply all the information the customer needs and not to overwhelm him with too much information. The first prerequisite is a good optical preparation. The customer should quickly gain an overview and not lose themselves in confusing text blocks. A list form is best suited for the facts. Also, pay attention to Amazon SEO for product pages. The right hierarchy is also crucial. The most important information should be first, the less important below. Detailed information can be provided separately – perhaps, on the bottom. Too many asterisks, extras, and further references confuse the user more than to help him. So here it is important to find the right measure. With a good “information policy” you can create some added value for the user. But even with a personal evaluation, valuable additional points can be gained. Also, know yourproduct page SEO. So you can highlight what you like about the product especially well or why you have just added this product to his shop. With such a rating, you can see that you really know your product, held it in your hands and tested it. You can prove professional knowledge and work out the trust of the customer. At the same time, the shop gains a more personal touch: instead of working through anonymous manufacturer descriptions, the customer feels a bit as if he is buying in the store. This helps in SEO strategies for e-commerce sites. Now it goes away from the hard facts. Buying decisions are rarely purely rational. With the new top or the new hair coloring, you want to feel beautiful and desirable. For the expensive smartphone, I decided to secure the recognition of my colleagues. You buy this extra fluffy dog basket because I want to sunbathe in the feeling of doing something good for my dog. Step one is, then, to put oneself in the customer again: How will I feel comfortable when I have bought the product? Firstly, no one lures the customer behind the stove; Dozens of corsage models then soon say nothing more. In the ideal case, it is possible to create an inner picture (a rendezvous in a cornfield). This has definitely won more than with a sober description of material and fit (which should nevertheless not be neglected). This helps in e-commerce website optimization. Surely, this emotional approach is not suitable for every product. To a pair of laces, you will not have to contribute much feeling. The right feeling for the customer’s motivation to buy a particular product or not is therefore indispensable. The goal of each product description listing must be to keep the user on the page. A badly crafted description will increase the exit rate faster than you can say “checkout”. After all, the competition is always just a click away. An online shop will, therefore, be particularly successful if it offers the customer a surplus value, be it through extra information that is not found anywhere else or through a strong text that appeals to him emotionally. Because then he gets the feeling: It is not worth to click further – best, I buy right here.